The Trust Waikato Hamilton City Netball Centre is the Waikato’s largest netball centre offering tournaments and leagues to over 5000 participants each year. The Centre has a proud history and is a well-known feature in Hamilton at Minogue Park. The landscape of sport is ever-changing in the modern world and the Centre is in a great space to have a strong future. There is an opportunity for a sports minded person to join the team to develop, co-ordinate and manage the events and programmes of the Netball Centre. 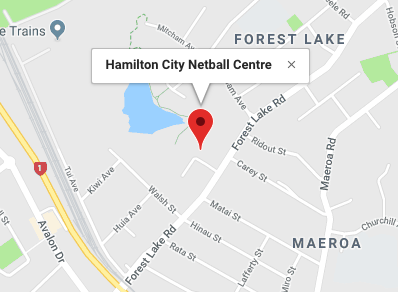 The Hamilton City Netball Centre is people centred so a strong ability to communicate effectively and appropriately in all situations with diverse groups of people is a must, as is the ability to gain trust and respect. Strong attention to detail with well-developed planning abilities will ensure success in this role. A self-motivated multi tasker who sees problems as a chance to provide solutions will deliver the high standards to our community that we are striving for. The ideal candidate will have experience in sports event management including a strong understanding of how tournaments and leagues are created and administered using an online system. Full time – Days and hours are dependent on the time of the season with weekends and evenings required to meet the needs of netball and the role.